Islamabad is among the best cities in the world and it is also rated as the 2nd most beautiful capital city. Islamabad is a well developed city and its lush green and relaxing environment makes it very unique. Its surroundings have played an important role in its rapid growth. At the moment many commercial and residential projects and new housing societies are being constructed in Islamabad that is equipped with all the living and business facilities. Because Islamabad is a full developed and modern city with all the facilities available it has made a lot of progress and it also attracts the attention of a very large populace. Bahria Town is the largest Real Estate Group of Pakistan and it has not only given importance to the other cities of Pakistan but it has also launched a new housing society with the name of Bahria Enclave in the most prime location of Islamabad. It has all of the world class business and facilities available quite easily. It is situated in such a place from where one can observe and relax in the environment of the breathtaking view of the Murree hills, Margalla hills, Rawal Lake and the various villages of Islamabad. Bahria Town also holds the honor of being the biggest real estate agency of Asia. Its projects are quite unique and the public has put their trust in them. Not only Pakistanis but people from other countries have also invested in these projects. Bahria Enclave is an exclusive housing society where all the best quality living and business facilities are available. A variety of projects have been launched in Bahria Enclave at present which include villas and commercial and residential projects. People have invested in these projects in large numbers because of their trust on Bahria Town. 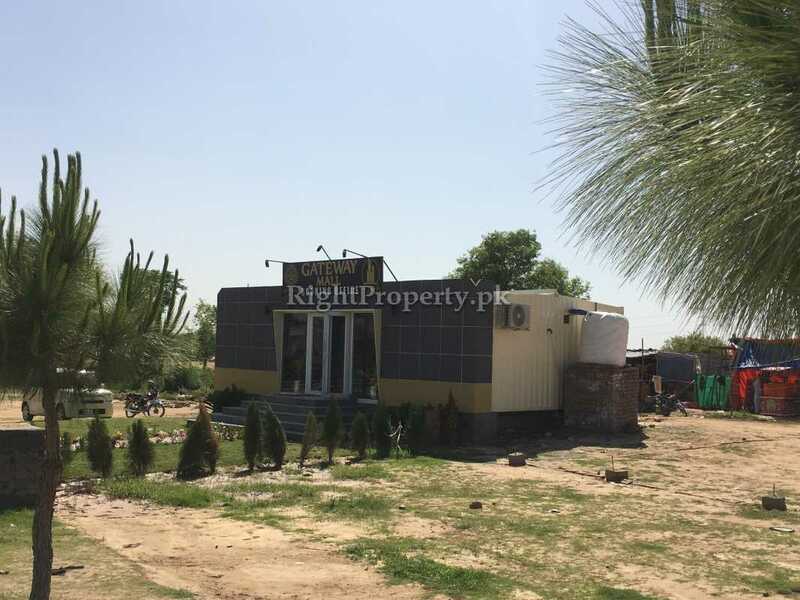 OvaisCo Builders are a well known name in the real estate sector and have earned a good reputation in this field that have several projects launched in Islamabad. 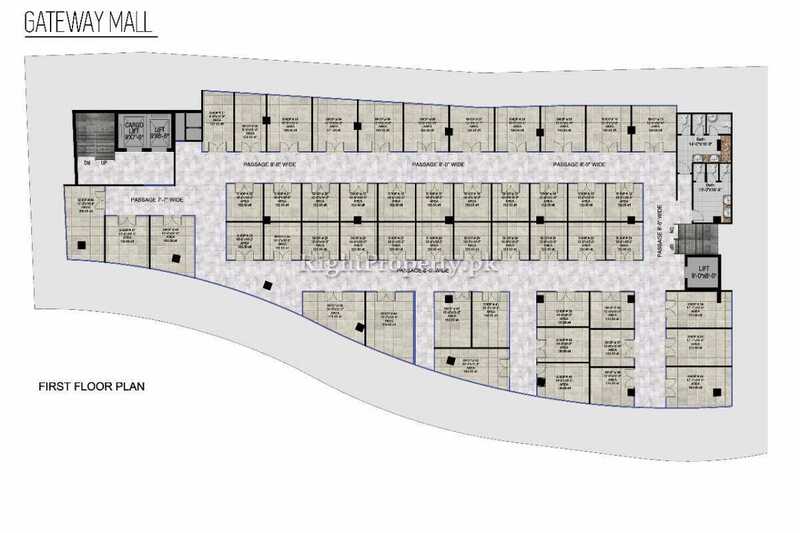 OvaisCo have launched a new project for their customers and clients in Bahria Enclave. 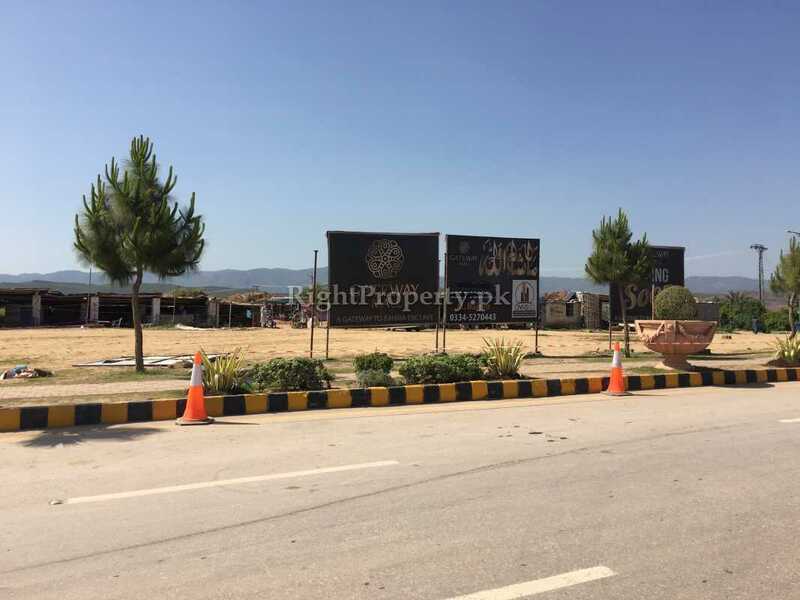 There are a number of residential and commercial projects under progress in Phase I, Sector C- 2 of Bahria Enclave. One more addition to these projects is Gateway Mall which is an outstanding project in Bahria Enclave among many other residential and commercial projects. 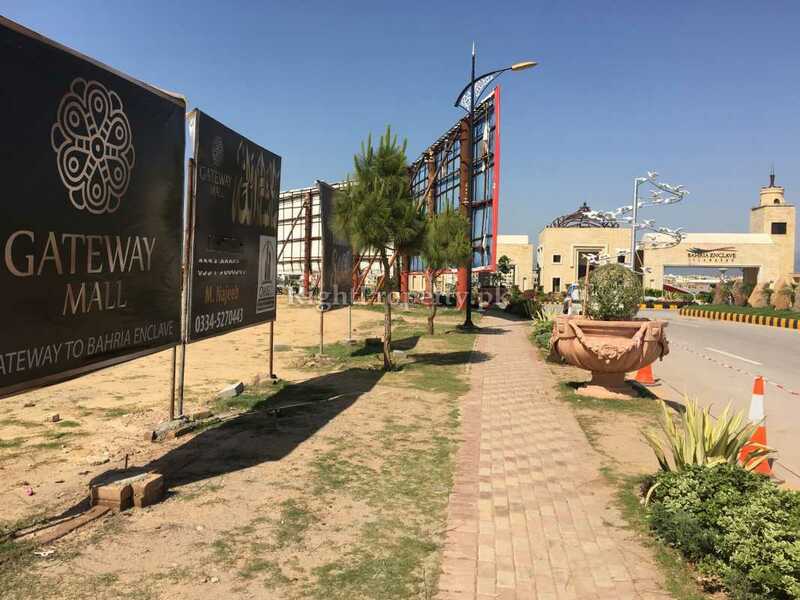 Gateway Mall is a modern venture that stretches over an area of 3 kanal amid the lush green surroundings of Bahria Enclave at an ideal location. Gateway Mall is a modern, 21st Century, residential/ commercial project that provides a remarkable shopping experience and a modern luxury lifestyle for its customers. 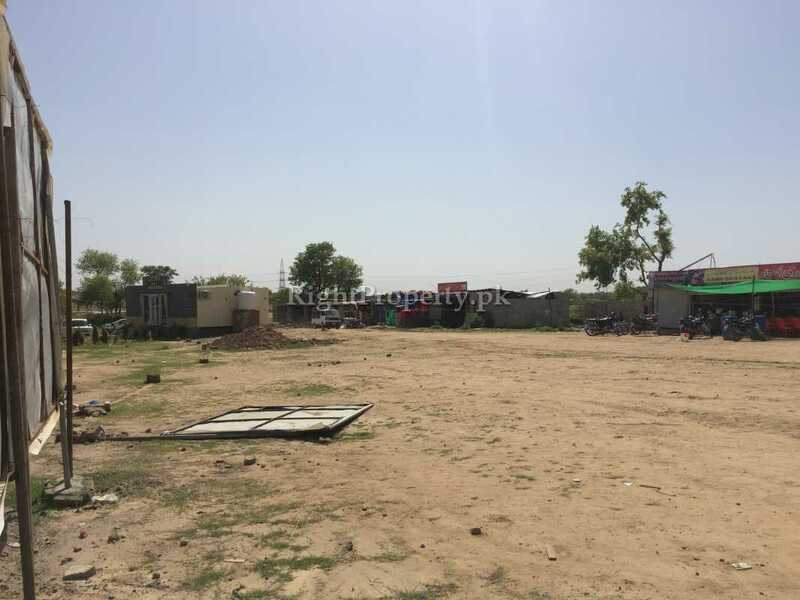 The most prominent feature of this project is that it is situated at a prime location in the commercial hub of Bahria Enclave which is right next to the Main Gate. Gateway Mall is a luxury project that has seven floors. Gateway Mall has national and international shopping brands, fast food restaurants, kids play area, corporate offices, apartments and much more under one roof. 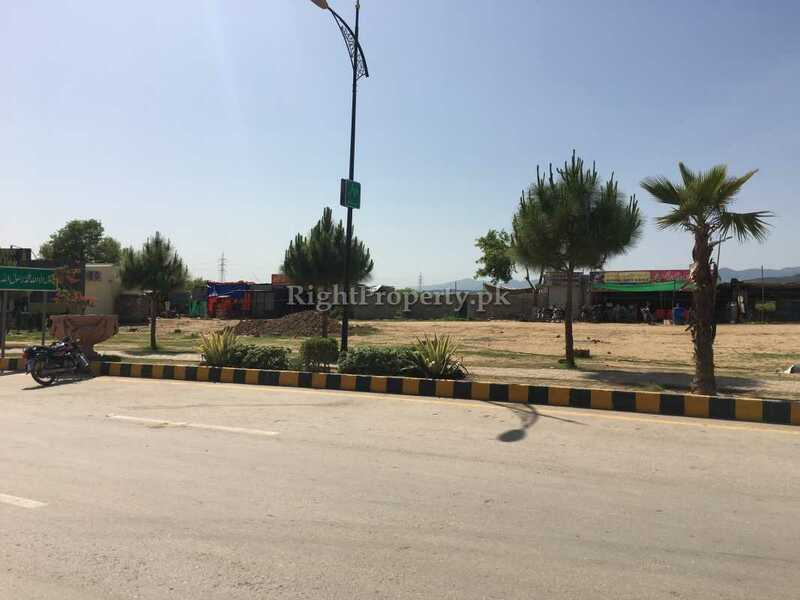 Gateway Mall is situated in the commercial hub of Bahria Town also known as the Bahria Avenue Commercial, Sector C- 2 Malot of Bahria Enclave, Islamabad. Gateway Mall is situated in the most prime location of Bahria Enclave which is known as its commercial hub. 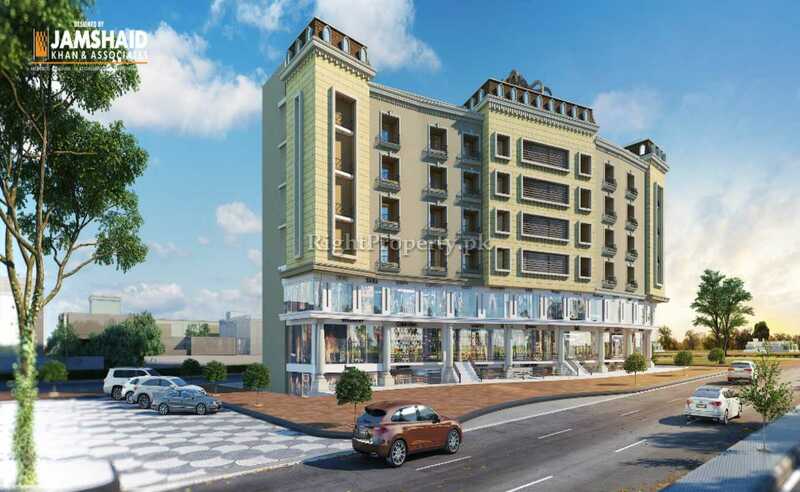 Its surroundings include a zoo, Gold Cineplex Cinema, Dancing Fountains, Enclave City Center Shopping Mall and several other residential and commercial projects. Among the projects being constructed in Bahria Enclave, Gateway Mall is an ideal and modern project and is quite incomparable. Gateway Mall is located in the finest surroundings of Bahria Enclave where natural beauty, lush green mountains, Margalla Hills view and green belt can be observed from quite a distance. 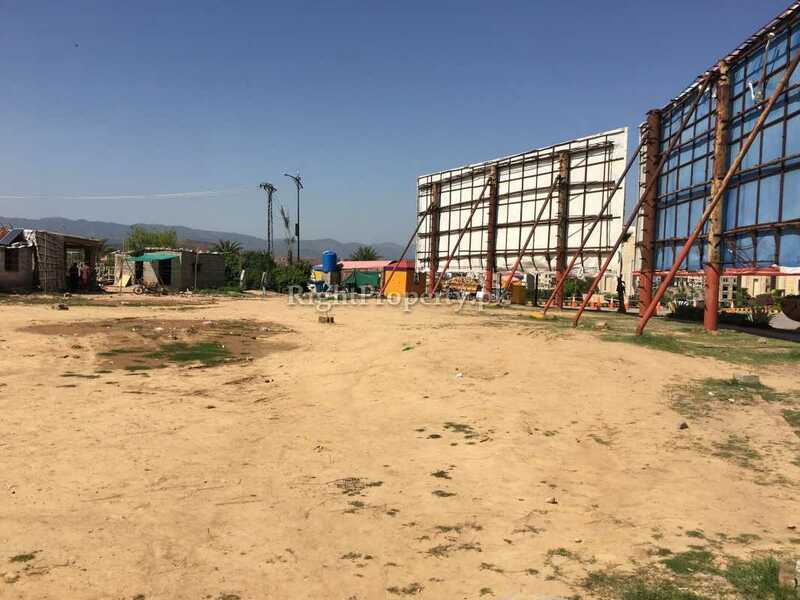 Other than all this the project’s surroundings include Bahria hospital, best educational institutes of Pakistan, Bahria Enclave Mini Zoo, open and wide carpeted roads, commercial zones, parks, play grounds and other areas which make the location and surroundings of this project distinguishing. 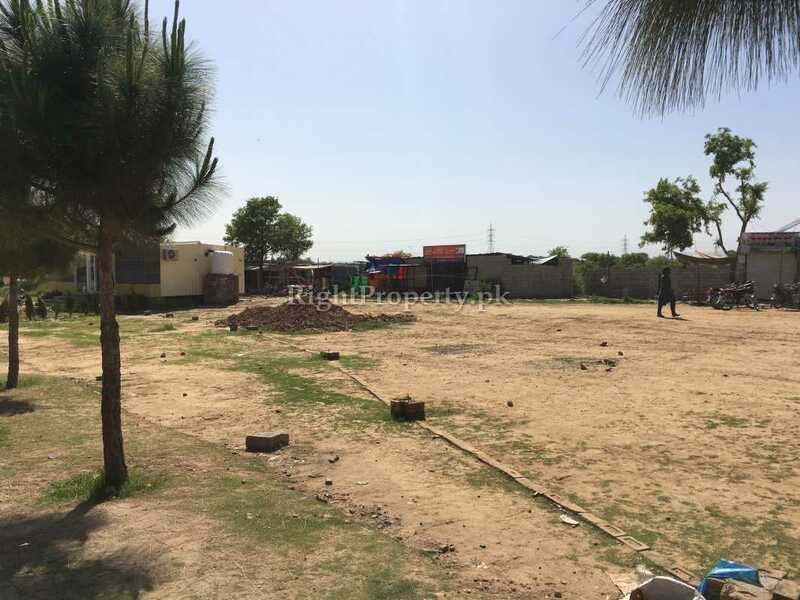 Many other housing societies are being constructed near Bahria Enclave which make the surroundings of Gateway Mall and Bahria Enclave more attractive and outstanding. While the roads connecting with Rawalpindi and Islamabad such as Park road, Lethrar road, Rawal road, Islamabad expressway and Kashmir road make this project even more significant. 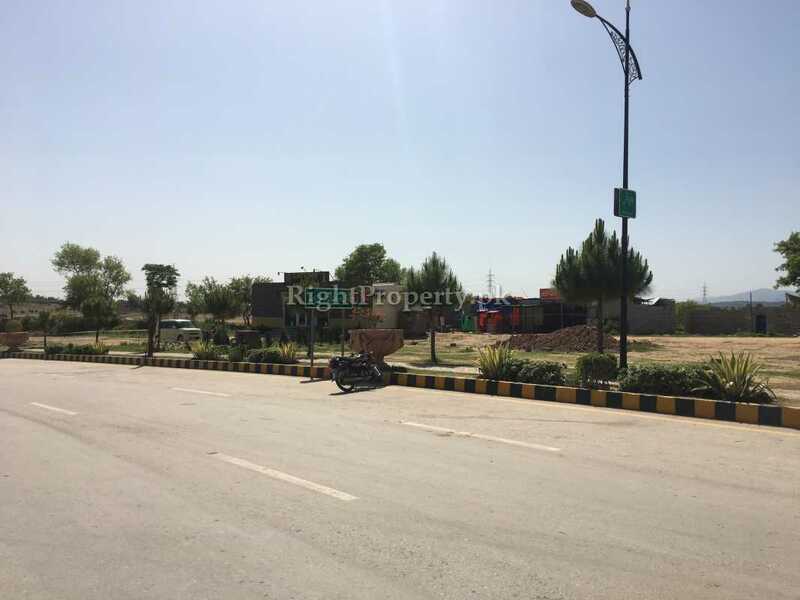 In addition to this there are many new housing societies being made around Bahria Enclave which make the surroundings of Gateway Mall and Bahria Enclave even more attractive and unique. The roads connecting to Rawalpindi and Islamabad like Park Road, Lehtrar Road, Rawal Road, Islamabad Express Way and Kashmir Highway make this project an important one too. All these roads also provide an easy access to different areas of Rawalpindi and Islamabad from Gateway Mall and Bahria Enclave. Cable TV network lines are already installed. Fast pace internet services are also available. Telephone lines are already provided as well to cater the needs of the customers. Open Terraces With Each Apartment. 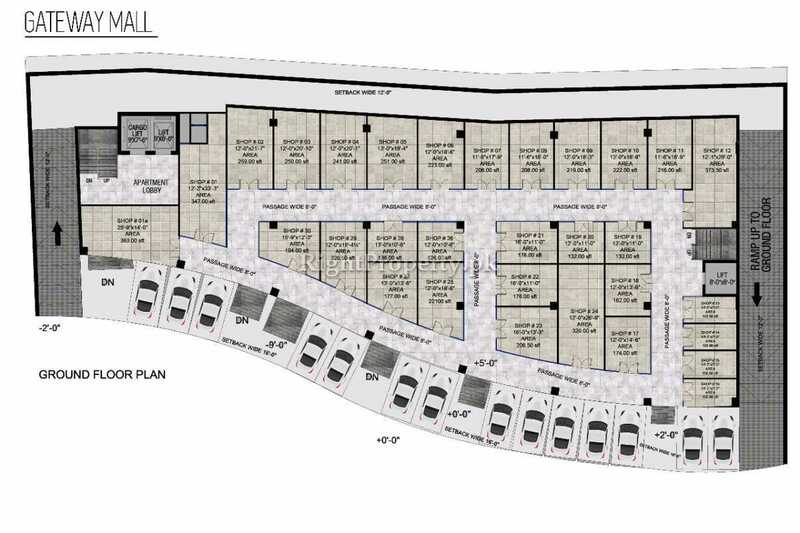 OvaisCo Builders have offered their customers a variety of residential and commercial opportunities in Gateway Mall. 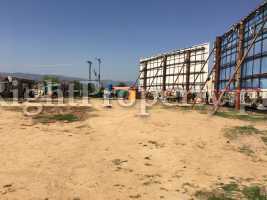 The building of this project has been made according to international standards and best quality material has been used. The whole project is constructed according to modern principles with passenger lifts, high proficiency security, indoor and outdoor facilities, huge parking space, food courts and much more. All these upscale amenities make Gateway Mall a unique project. 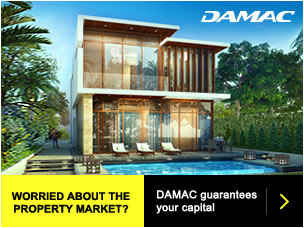 OvaisCo Builders have offered a variety of residential and commercial prospects in Gateway Mall. The booking of shops, offices and apartments has started from 10% down payment. 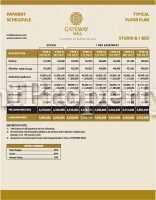 There is a special 10% discount offered for the clients in case of full payment at the time of booking. 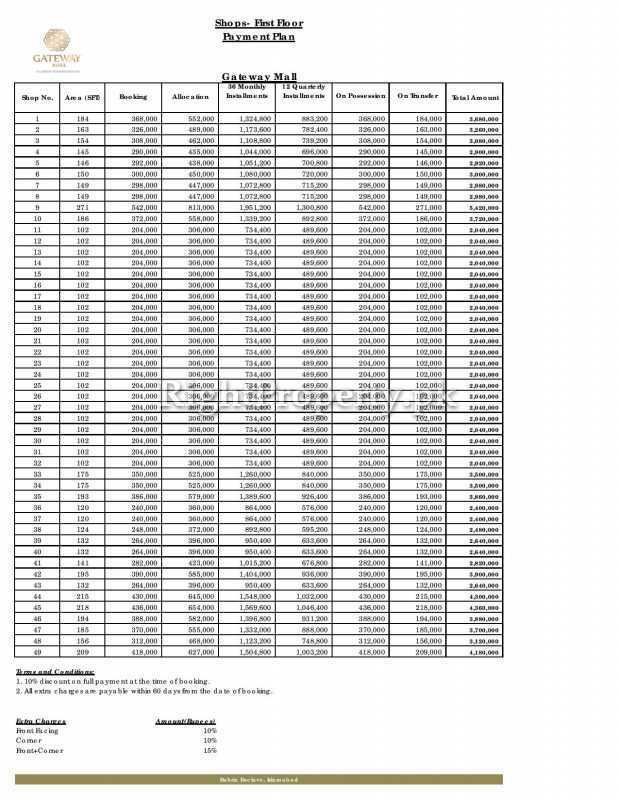 Moreover, two easy installment plans are also offered for the convenience of their clients. 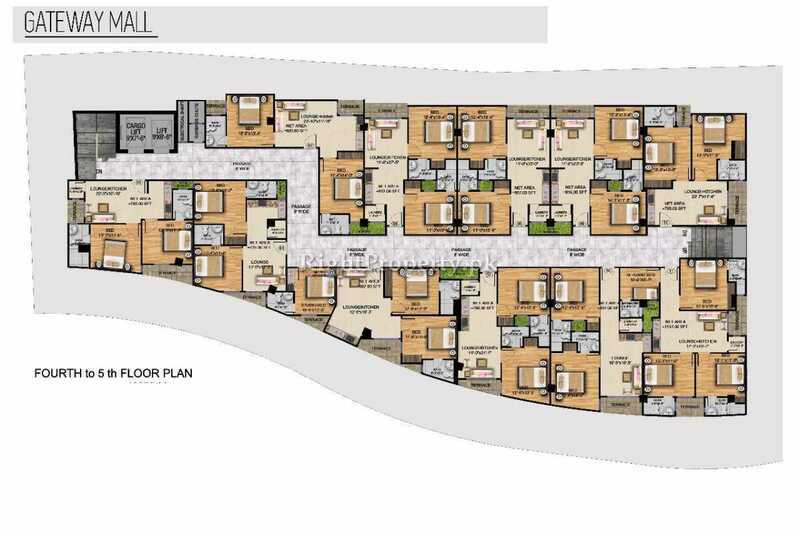 The first plan consists of 36 monthly installments after the 10% down payment at the time of booking and then the remaining amount is to be paid at the time of possession of the property. 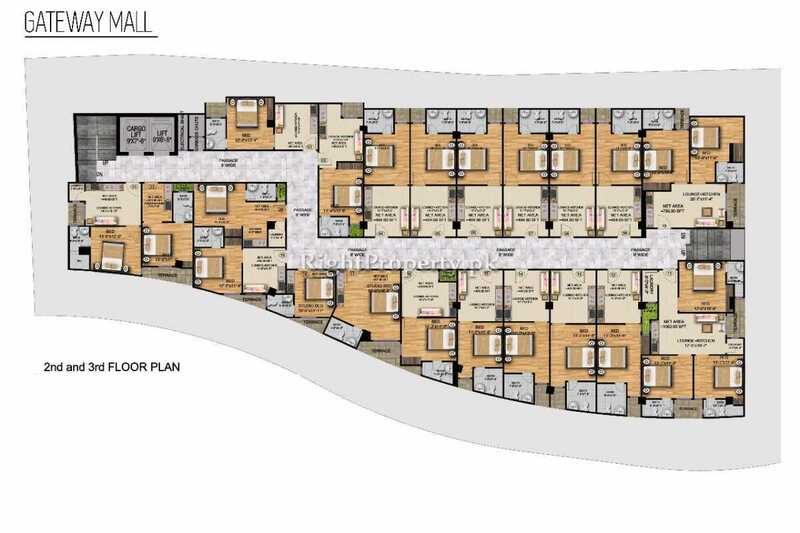 The second price plan consists of 12 quarterly plans after the 10% down payment and the remaining amount at the time of transfer of the property. The lower ground floor and ground floor of Gateway Mall has shops of various sizes. 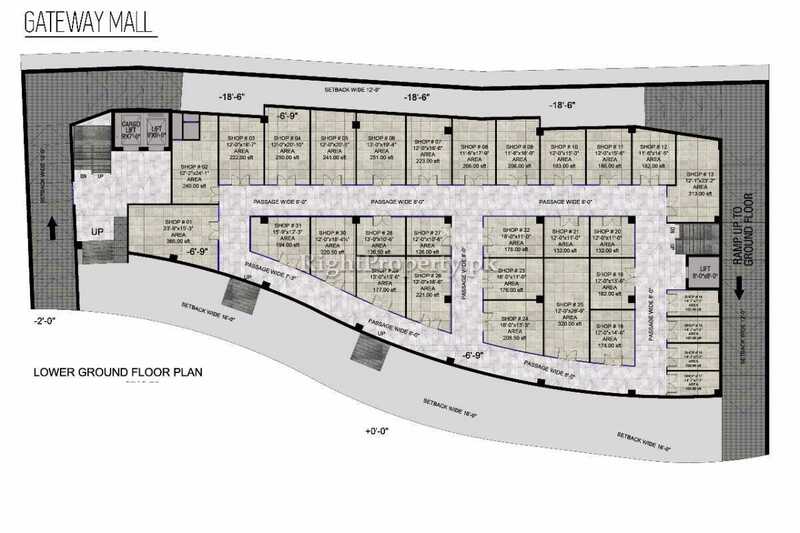 All the 46 shops have different areas, starting from 112 square feet to 680 square feet. The prices start from Rs. 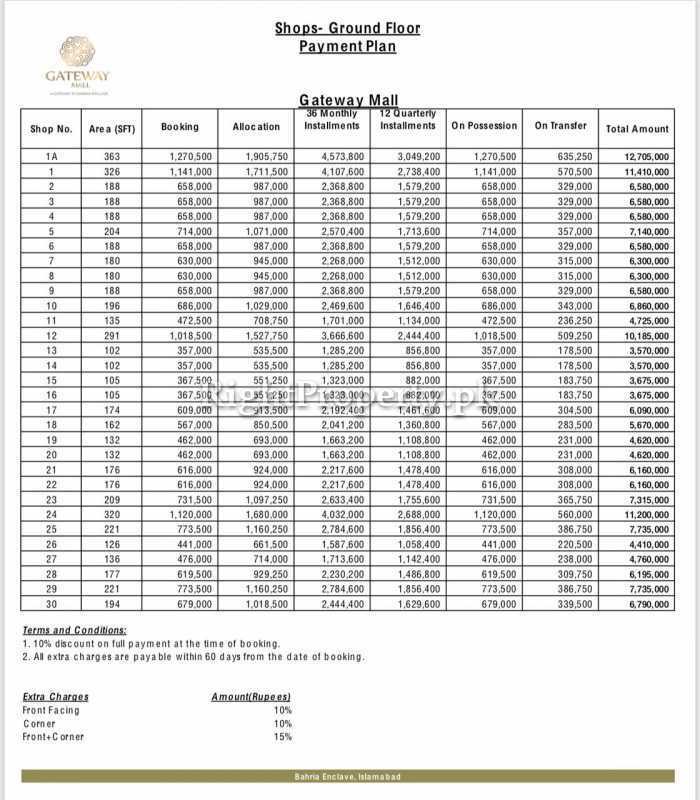 3,920,000/- to Rs. 23,800,000. There are extra 10% charges for front facing shops and 10% extra charges for shops on the corner. Extra 20% charges are for the shops that are front facing as well as on the corner. 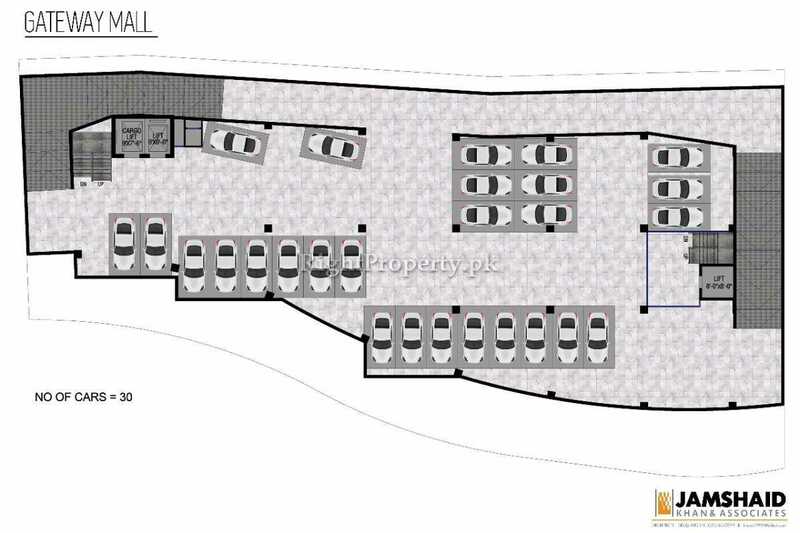 The first floor of Gateway Mall is reserved for corporate offices. 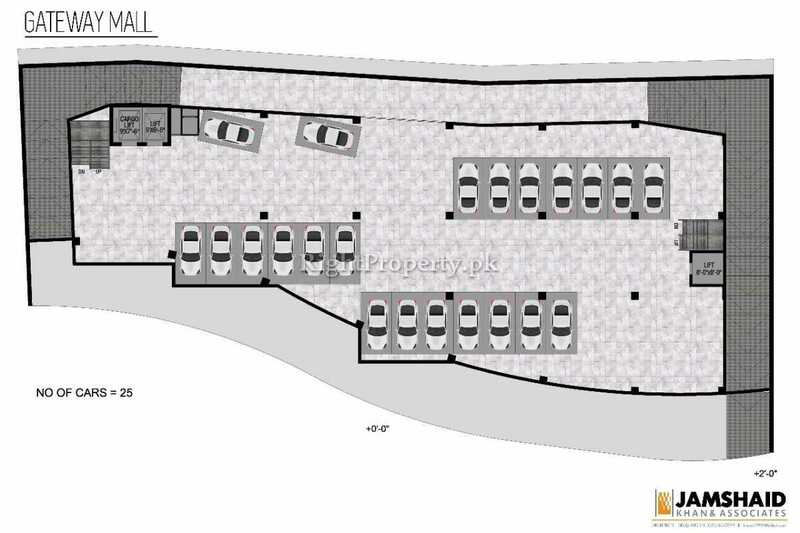 There are assorted spaces available in different sizes ranging from 302 square feet to 1053 square feet on the first floor. The offices facing front have an extra 10% charges. The offices on the corner have an extra 10% charges. An extra 15% charges apply to the office spaces on the corner as well as facing front. 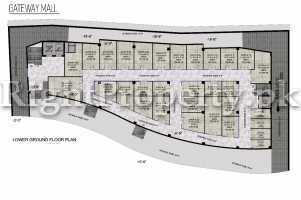 There are apartments of different sizes are available on 2nd to 5th floors of Gateway Mall. 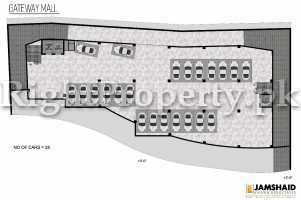 The 2nd and 3rd floor have studio and 1 bedroom apartments. The 4th and 5th floors have 2 and 3 bedrooms apartments on them. Each apartment has its own terrace for fresh air and openness. Every bedroom has attached bath with it. 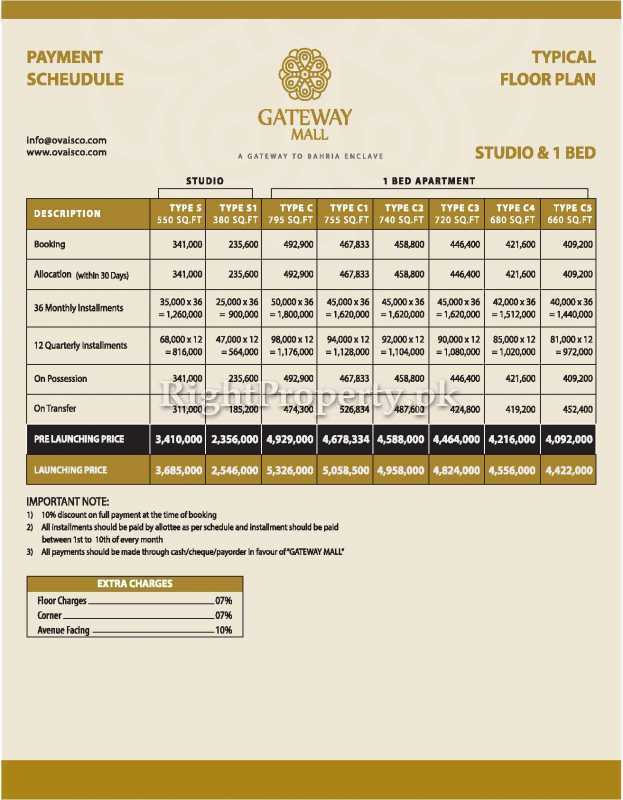 There are two types of studio apartments available in Gateway Mall. 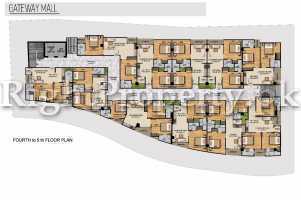 The one bedroom apartments are categorized into 6 types depending on the total covered area of each unit. 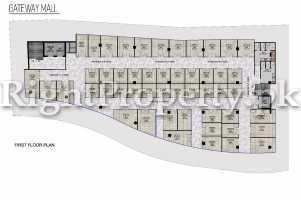 The two bedroom apartments are categorized into 4 types depending on the total covered area of each unit. Each apartment also has 7% of its price as floor charges. 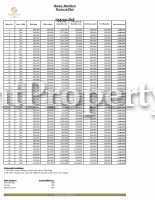 Extra 7% charges are also applicable for corner apartments. The apartments that are avenue facing also have an extra 10% charges. Gateway Mall has been made under the authority of Bahria Town. This project was launched by OvaisCo Builders after due approval from the authorities. 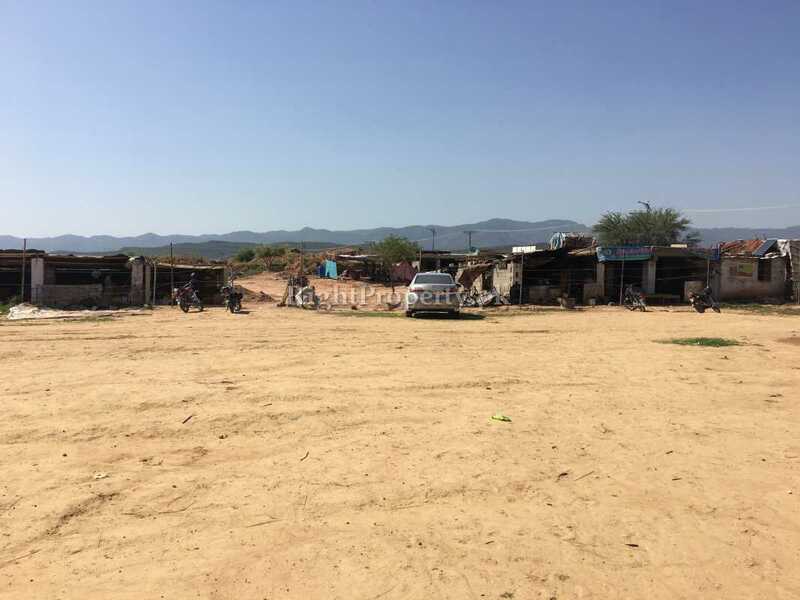 None of the development work is allowed without proper permission from Bahria Town so there is no legal or other sort of issue regarding this project. Bahria Enclave is one of the best housing societies in Pakistan where all the modern residential and commercial facilities are available. All the projects by Bahria Town are world class and this is why people prefer to live, work, have a business or invest in their projects. The reason is the perfect planning, elegant designing and the provision of all amenities in all the projects of Bahria Town. 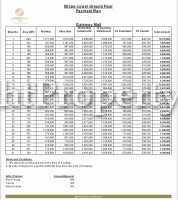 The property rates are very high in Bahria Enclave. 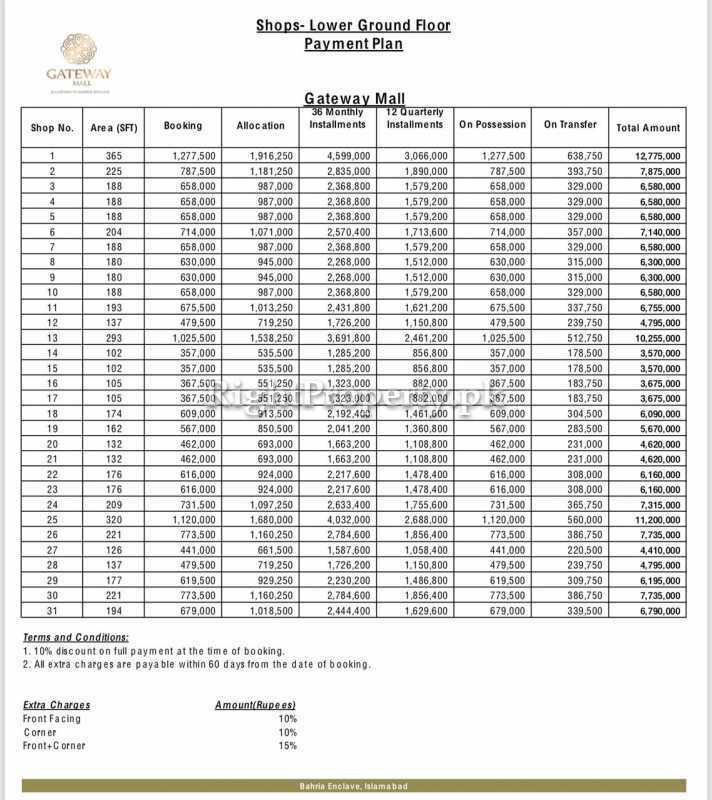 The price of an average residential plot ranges from 7 to 9 lac per marla. 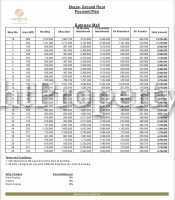 So, purchasing a plot in Bahria Enclave and then constructing on it gets to be very expensive. Gateway Mall offers shops, offices and apartments at a reasonable price for its customers. OvaisCo Builders have a distinct name in the real estate and have made several residential and commercial projects. 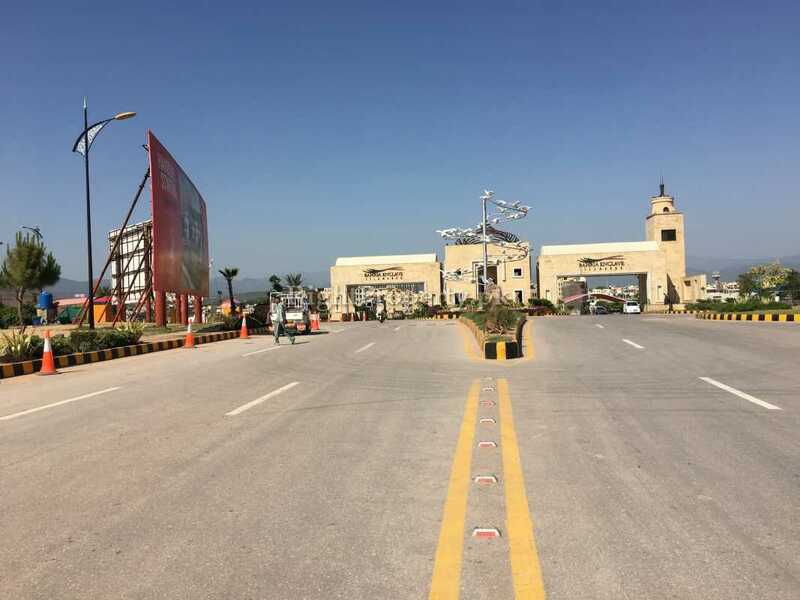 They say that there are a lot of projects opened in Bahria Enclave but Gateway Mall is unique because of its location and it guarantees a luxurious lifestyle, a successful business and a profitable investment with all the latest amenities provided in it. The locals of Bahria Enclave have shown a very positive response towards Gateway Mall and other projects like it. They are of the opinion that these projects bring more variety of facilities near their homes and are also a reason for increase in their property rates. 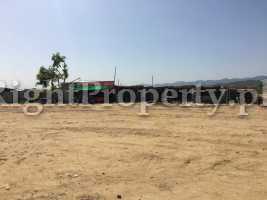 Many people visit the site office of Gateway Mall daily and they are of the view that Gateway Mall is a perfect project for investment. 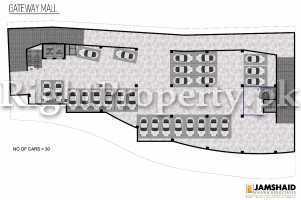 The location and surroundings of this project are ideal for investment or starting up a business. 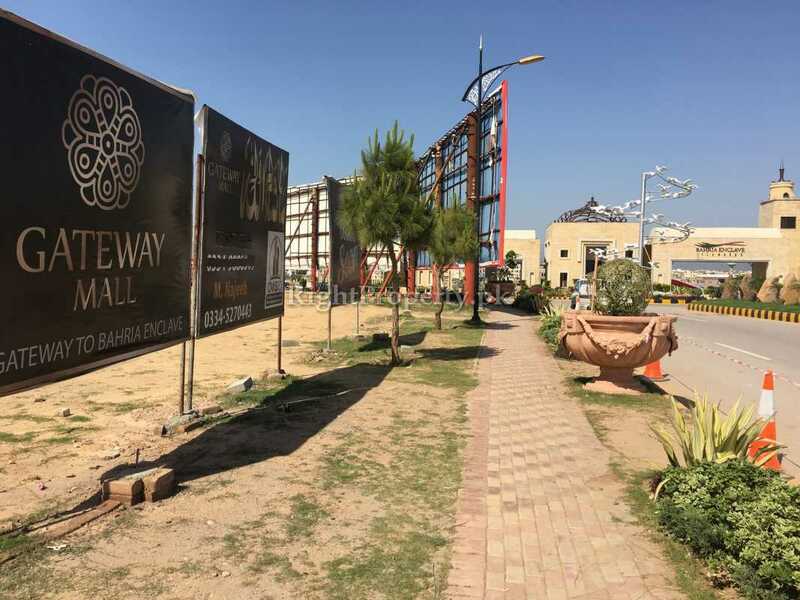 The survey conducted by the Right Property team indicates that Gateway Mall is an ideal project in Bahria Enclave. 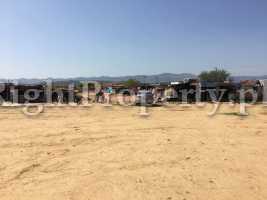 The surroundings and location of this project are very promising for any kind of business or investment. 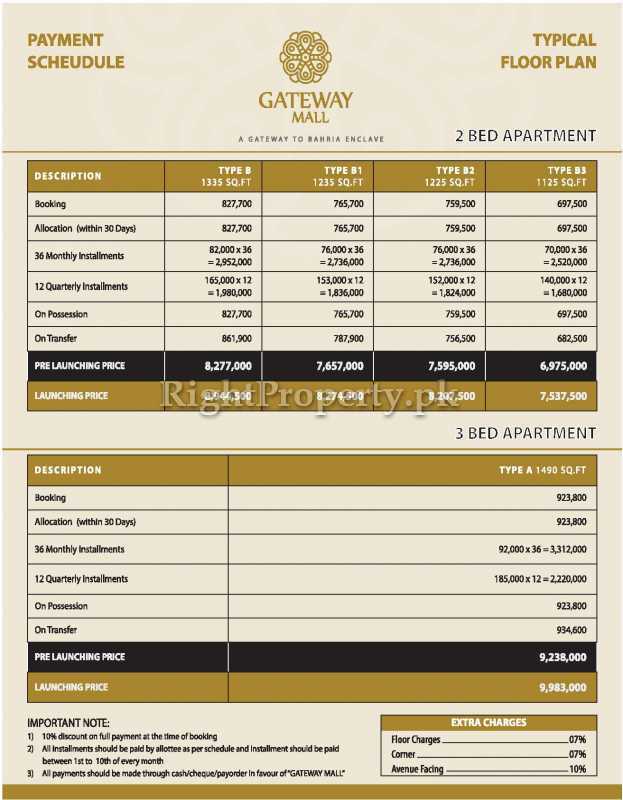 The different apartments in Gateway Mall are also available at reasonable rates as compared to its surroundings. 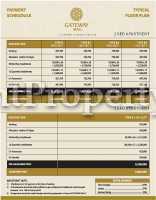 Gateway Mall is a good opportunity to live, work or to invest in one of Bahria Town’s projects.